Another Sunday update to the Vulkan API is now available with the stabilized NVIDIA ray-tracing extension and a new AMD vendor-specific extension. As written about a few days ago, NVIDIA has stabilized its ray-tracing extension. The VK_NVX_raytracing extension was just introduced in September with the premiere of the NVIDIA GeForce RTX graphics cards while already they are ready to promote it to stable. 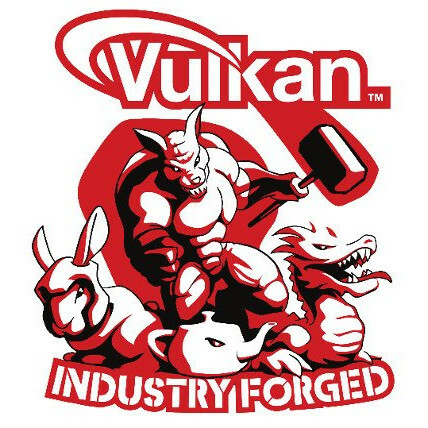 With Vulkan 1.1.91, the extension is renamed to VK_NV_ray_tracing for enjoying NVIDIA Vulkan ray-tracing on the latest GPUs. We'll see though how long it takes before there are interesting Vulkan ray-tracing games or at least interesting Linux demos/benchmarks available. The other new extension is VK_AMD_memory_overallocation_behavior. The VK_AMD_memory_overallocation_behavior extension allows defining whether explicit over-allocation beyond the device memory's heap sizes are allowed by the driver or not. Over-allocation, of course, can lead to performance implications but this AMD-developed extension allows controlling this behavior so games/applications are properly aware of what is permitted. There is also the usual helping of documentation clarifications/corrections with this v1.1.91 update now available through the Vulkan Registry.